EPDM and SBR Rubber Granule long durable, UV resisted, flame retardant and is an eco friendly product. Does not contain heavy metals. These specifications can optimized in combination with a suitable polyurethane rubber granule binder. 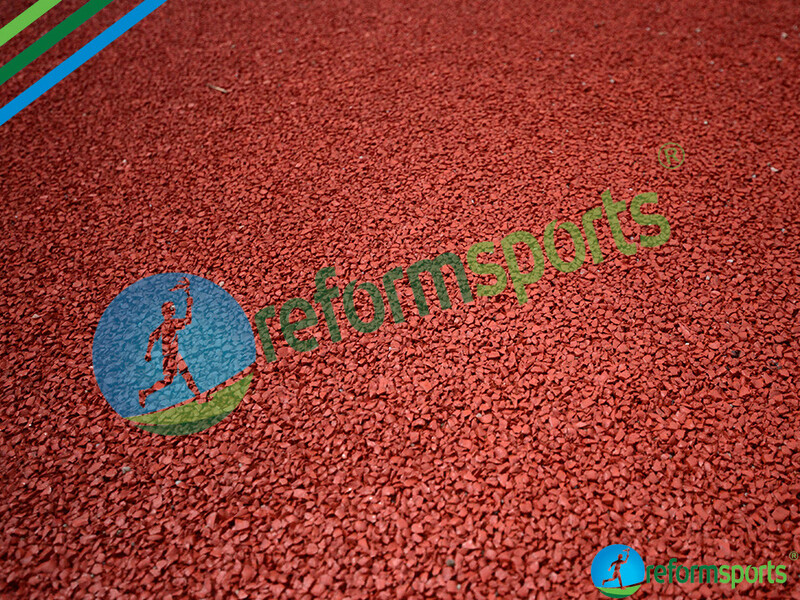 EPDM Granule used for various tartan system surfaces, athletic tracks, children playgrounds and as infill material in sports flooring. As cheaper infill matterial mostly SBR granule preferred inf football and soccer pitches. Black SBR recyled from wheels. Also EPDM used for artificial grass infill as coloured option. Gray and green epdm preferred for football artificial grass infill. Tartan surface made from EDPM granule. Tartan flooring is made of EPDM granules and SBR granules in two layers. As Refrubber we are manufacturing rubber granules and binder for tartan surfaces, athletic tracks and children playgrounds. SBR is cheaper because contains recycled materials. EPDM is more expensive because it’s originally manufactured and coloured product.